I have talked about each of the other four drivers of customer brand insistence - relevant differentiation, value, accessibility and emotional connection. However, I have saved the most important driver of customer brand insistence for last. Brand building begins with awareness. If you make the best products in the world, support them with exceptional service and offer them at very low prices delivering the best overall value, but no one has ever heard of them, how many sales will you have? That's right, zero. 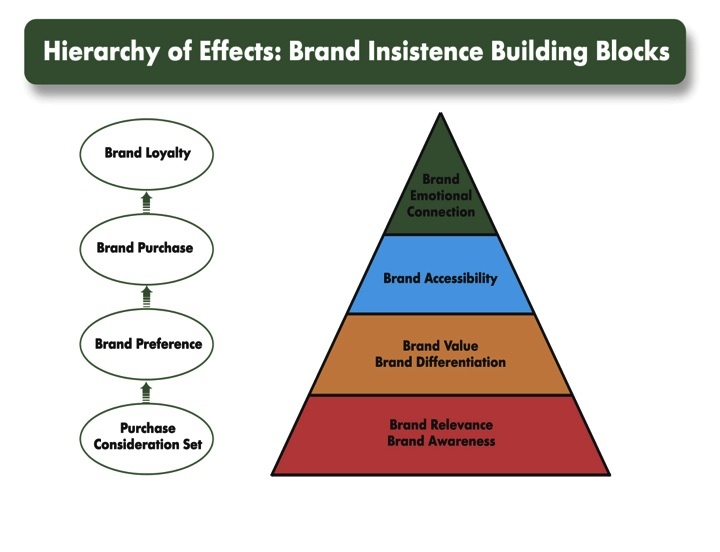 Increased brand awareness has been correlated with increased quality perceptions, increased favorability, increased preference, increased sales and increased market share. 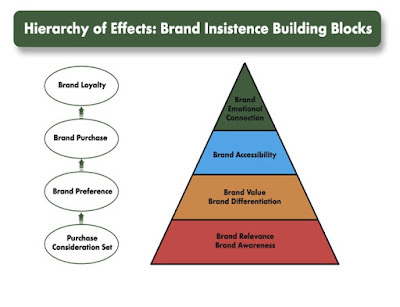 More than 70 percent of the impact of advertising on market share results from increasing brand awareness (vs. creating or building brand image).